Techcrunch recently published an article hailing beacons for having been successful in showcasing their potential in commercial settings. However, the article also pointed out that going ahead opportunities for innovation and value-added use cases will lie more in the enterprise domain than in the commercial domain. Now, while we here at MobStac totally agree that enterprise will be a highly important sector in the beacon world, we can, with a high degree of certainty say that commercial applications will continue to thrive. Primarily because some of the critical reasons mentioned in the article have already been negated by the Physical Web. For example, the Physical Web has already removed the need for users to download an app in order to interact with beacons, by allowing users to access the content near them on their smartphones (both Android and iOS devices) via the Chrome browser app. The Physical Web has even solved the problem of users getting annoyed on being alerted, every time their phone is bombarded with notifications. With the Physical Web, users can easily take a look at the different kinds of content available around them, on their phone and choose which one to click on to get more information. For example, an attendee at a conference, can use the Physical Web to view different kinds of content related to the session in progress, such as the speaker’s bio, PowerPoint slides, or a link to a post-session survey, without being buzzed on their phone. While the best practices around how brands can use the Physical Web to engage users mostly revolve around knowing the needs and wants of their consumers and offering them something unique, while respecting their privacy – it is often easier said than done. In this blog, we will discuss 3 interesting Physical Web projects of recent times and the lessons that they offer. The Nashville Sounds, a Triple-A affiliate of the Oakland Athletics, missed out on a slot in Minor League Baseball’s Pacific Coast League championships this fall. However, the team is now looking to score with a system which allows fans to use their smartphones to easily access player statistics, read baseball trivia, as well as find special food and drink deals from stadium vendors. During four late-season games, the Sounds tested a proof-of-concept (PoC) network along with Sounds Gameday, a smartphone app, at Nashville’s 10,000-seat First Tennessee Park. As a part of this PoC, a total of about 30 Physical Web beacons were installed inside the 10.8-acre stadium. Most of what a fan saw displayed on his/her phone depended on whether he/she was using the Gameday app or a browser. For example, those using the app would see a series of digital cards with player images and statistics , including those of the player at bat and the current pitcher. Clicking on the player cards would link the user, irrespective of whether he/she was accessing it through Gameday or a browser or Nearby, to that player’s full profile on the MLB website. Fans could also use the app to view a card that let them select food and drinks from a list of items, and then click to view a map that pointed to the location of the nearest vendors selling those items. Adding on to this, the Sounds also utilized the Physical web beacons to collect fan data, by offering both Gameday app users, as well as those who checked Nearby or a browser for updates, a chance to win free food or drink if they texted, emailed or tweeted a message to the team. Previously, the Sounds staff members randomly selected fans at the game to participate in promotions. The Physical Web simplified this by empowering the Sounds with the new ability to run promotions requiring entry by emails, text and Twitter (both via Gameday app and Nearby or browser). Such incentives could be easily translated to retail audiences, by making content like personalized coupons or app-exclusive buy-one-get-one offers available to fans. Adding on to this, the Sounds even confirmed that collected far more contact information from fans who offered up their phone numbers or email addresses in response to incentives, than they have in the past. This definitely goes on to prove that, going mobile is the way forward to engaging users better. And now even if you don’t have an app in place already, you could simply go ahead with your user engagement strategy via Physical web beacons. It goes without saying that one of the most powerful assets of Waze, one of the world’s largest community based traffic and navigation app, is its engaged community. In their efforts to address one of the most critical problems faced by their users – losing out on GPS signals once they enter a tunnel – Waze recently announced the launch of their Beacons Program. The program, however, isn’t aimed at individual drivers. On the contrary, it is aimed at cities and tunnel operators to help eliminate driver frustration and traffic by ensuring that people don’t miss their exits. As a part of the Beacons program, Waze will install low-cost, battery-powered Eddystone beacons (Physical Web) in the tunnels that the company has in its database, covering about 7,500 miles (12,000 kilometers) around the world. These beacons would be configured to transmit signals to Bluetooth-enabled smartphones on the user end, thus taking over the role played by GPS, to provide location data when a car passes through a tunnel. Priced at $28.50 per beacon, a total of about 42 beacons would be required to provide coverage for every mile within a tunnel. The beacons have already been turned on at two Pittsburgh tunnels, Fort Pitt and Liberty, and another in Israel. 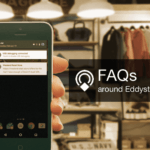 iBeacon holds great potential at being able to offer precise location data unlike any other location technology available, making them increasingly valuable as location technology plays a larger role in our day to day lives. Waze’s Beacons Program is a great example of how businesses can benefit from leveraging a combination of location technologies rather than having to choose between them to offer better value-added services to users. The Leventis Municipal Museum, one of the most prestigious historical museums located in the capital of Cyprus, Nicosia, recently leveraged Physical Web beacons to drive visitor engagement at a temporary exhibition. Titled as ‘Threads of Tradition: Laces and Lace Embroideries of Cyprus’, the exhibition was aimed at providing visitors with a new interesting opportunity to experience and learn about Cypriot lace and lace embroidery, two elements that are invaluable to the island’s intangible cultural heritage. Using the Physical Web beacons, the museum was able to showcase videos about the various laces and lace embroidery techniques to their visitors via a browser on their smartphones, based on the actual live exhibit of lacework that they were standing next to in the gallery. Beacons offer a great, less expensive solution that can easily replace any existing audio or electronic guide system currently in use at museums by utilizing the smartphones in the hands of a visitor as a media playback device. Thus, it removes the need to force visitors to download a third party software, or hire an expensive guide hardware. Not only does it help cut down on hardware cost but also enhance visitor engagement by providing them with quick access to relevant content near exhibit. You could even drive revenue by pushing content about the items available at the museum’s outlet for them to purchase. Are there any other impactful beacon campaigns that we missed out on? Let us know in the comments below. Thanks for the great article, however what is the logic for Waze to use physical web beacons? Given that beacons interact with their app in order to navigate in tunnels, couldn’t they just use regular beacons? I am in Nashville and drive Uber where there is a lot of tourism. I have installed a beacon app on my phone so that when I pick up tourist that have never been here before it will send them a link to my Facebook page with helpful tourist information. Scott, I see you posted this a couple of months ago. I would really love to hear if you are still using this and how it is going for you? I have a couple ideas that I’m looking at. I have not been driving for Uber lately so I really have no practical reason to use this technology at the moment. But when I was using it, it worked great. twitter @dcityallstar if you would like to get ahold of me to discuss anything. Id love to hear your ideas. Ever since I learned of the tech I have been extremely excited about it with no one around me in my circles that understood the implications of how it could be used. Mobile advertising is a stable trend to the market development in the next several years. Traditional marketing activities continue to focus on design or standard print materials. In terms of the number of opportunities, mobile advertising is an unparalleled marketing tool. We can compare it to social network ads, Facebook timeline, for example, or SMS broadcasting service. Progress does not stand still. There is an opportunity to create electronic mobile billboards and signs, show people high-quality advertising, share videos on YouTube or send a link to their page. We took a step forward here by creating a mechanism for broadcasting and analyzing the client’s behavior, and we also found a way how to popularize it. Our advertising service allows working with marketing solutions and advertising content as well as creating practical solutions for passive income due to the service flexibility. Reseller program opportunity is based on earnings in the price difference between wholesale monthly service costs and retail prices that the attracted customer will pay. Our prices for services and beacons are openly published on our the website https://fdh.cloud But in case you sign an agreement form we can start a comprehensive cooperation and you get the opportunity to sell the service at your own price (it can be more than indicated on our site) while it still costs you $ 5 per month. Your income will be the amount of your customer’s daily payments less the cost of the service. In case the number of ordered beacons by your customer exceeds 101 pieces, he gets the opportunity to receive the service at a wholesale price, and you will get 15% monthly discount off the service costs for this client. By the way, being our reseller, your customers receive direct technical support, recommendations for setting up and running an advertising campaign. They also always can ask for help creating their beacons promotional materials.